Protestors who are trying to stop plans to move Bridlington’s coach park to the clifftops have stepped up their actions. More than 500 people have signed the online version of a petition started by the Keep Limekiln Green group, but hundreds more have been collected from door-to-door calls by campaigners. East Riding of Yorkshire Council wants to move the current coach park in Hilderthorpe Road, so that land can be redeveloped. “It’s at the wrong side of town, on roads which are already congested, so it won’t be safe. 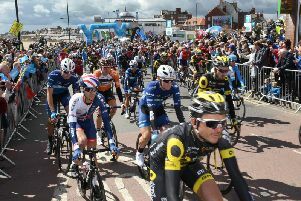 The online petition says the plans will create noise, light and air pollution in an area which organisers say is ‘one of the few naturally beautiful areas in Bridlington that remains unspoilt’. Nigel Atkinson, head of Bridlington Renaissance, said: “The council held a pre-planning exhibition at the beginning of May and received a lot of feedback on its plans, which include a new access, an improved surface for coach parking, lighting, drainage and landscaping. “When complete, the alterations would accommodate up to 30 coaches. “The council is aware of some concerns raised by local people in respect to location, traffic and congestion, landscaping, the possibility of increased pollution and the potential for antisocial behaviour. He said the route to Limekiln Lane had been tested butprotestors insist the park and ride site at Wilsthorpe is a better and safer alternative..